Ultimate Fighting Championship (UFC) is gearing up for its UFC Fight Night 105 mixed martial arts (MMA) event on FOX Sports 1, locked and loaded for this Sunday night (Feb. 19, 2017) inside Scotiabank Centre in Halifax, Nova Scotia, Canada. 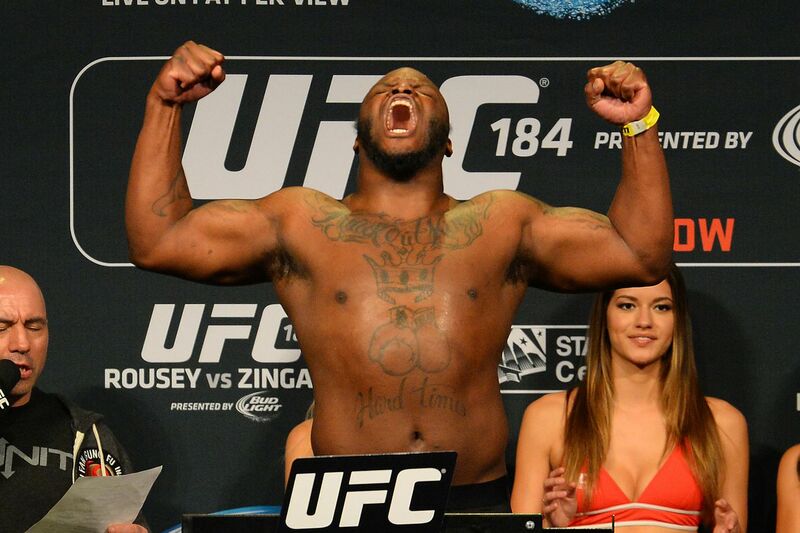 Prior to this weekend’s event, which also features “Prelims” bouts on FOX Sports 1 and UFC Fight Pass, the promotion will send all 22 fighters — including Derrick Lewis, Travis Browne, Johny Hendricks, and Hector Lombard, among others — to the scale for the official weigh ins. Get complete UFC Fight Night 105 early weigh-in results here. With the early weigh ins complete, it’s now time to have the fighters come back out for the fans in attendance, which means photo ops on the scale, as well as all the pre-fight staredowns. Watch it all unfold in the embedded video above beginning at 4 p.m. ET. MMAmania.com will deliver LIVE round-by-round, blow-by-blow coverage of the entire UFC Fight Night 105 fight card on fight night (click here), starting with the Fight Pass “Prelims” matches online, which are scheduled to begin at 6:30 p.m. ET, and then the remaining undercard balance on FOX Sports 1 at 7 p.m. ET, before the main card start time at 9 p.m. ET, also on FOX Sports 1. For much more on UFC Fight Night 105 click here.